You don’t want to miss out on the holiday party of the year!!! 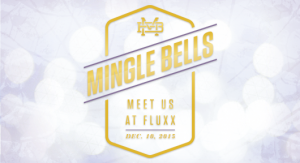 Join us and 500+ of San Diego’s finest communications and marketing professionals for our annual Mingle Bells holiday industry party at Fluxx on Thursday, December 10. Mingle Bells is the end of year event where San Diego’s advertising, business communications, marketing, public relations, social media and graphic arts industry come together to spread the holiday spirit. Register today!